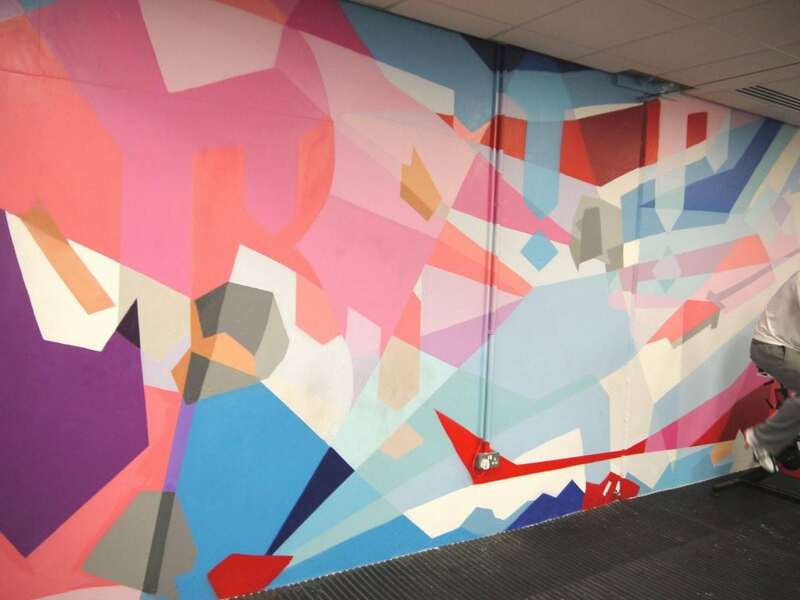 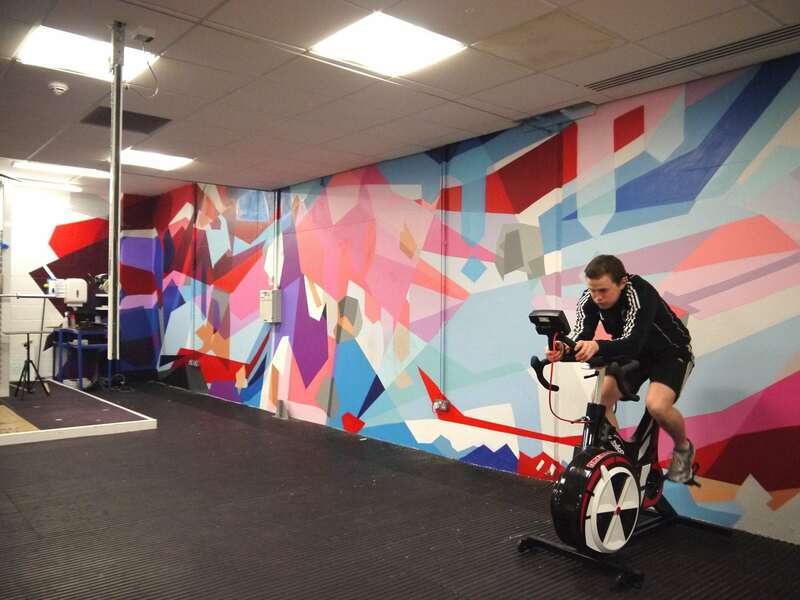 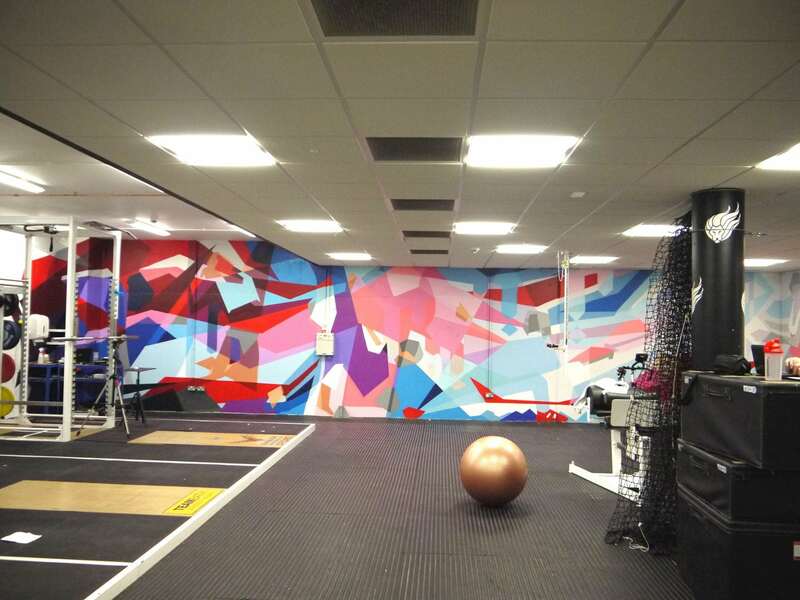 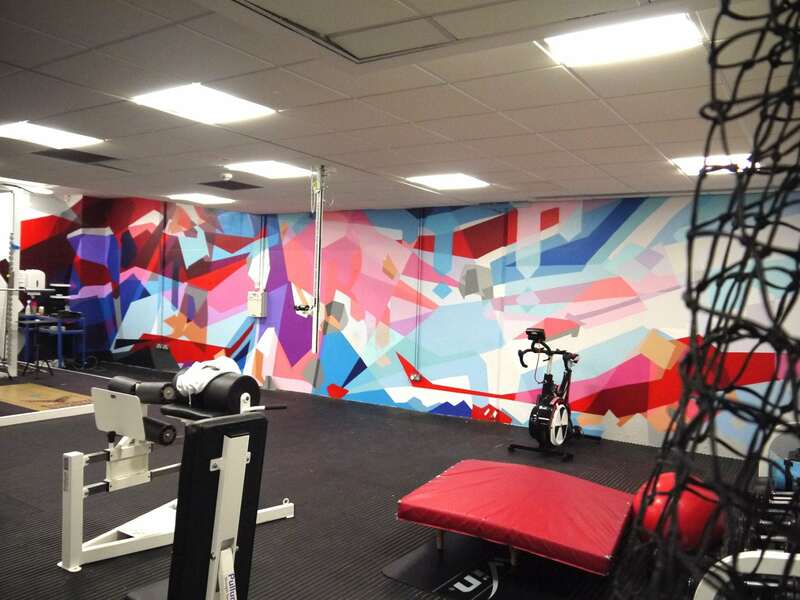 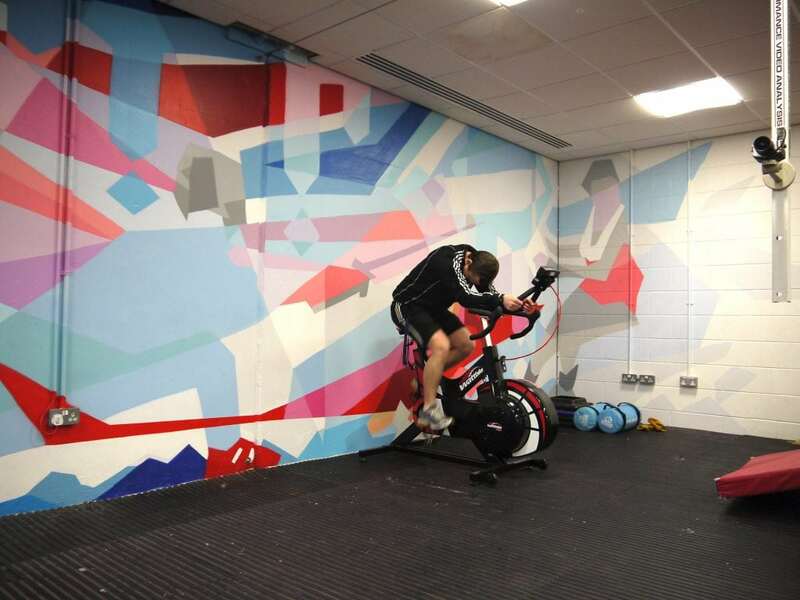 We were commissioned to create an inspirational mural in the performance gym at Bath University Sports Training Centre, that would enhance the environment and help inspire the Olympian and Paralympian elite athletes who train within the space. 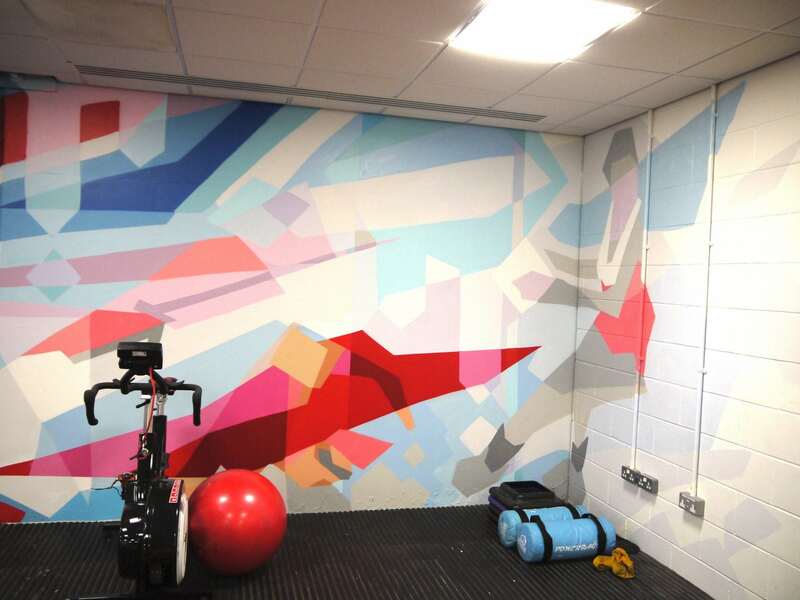 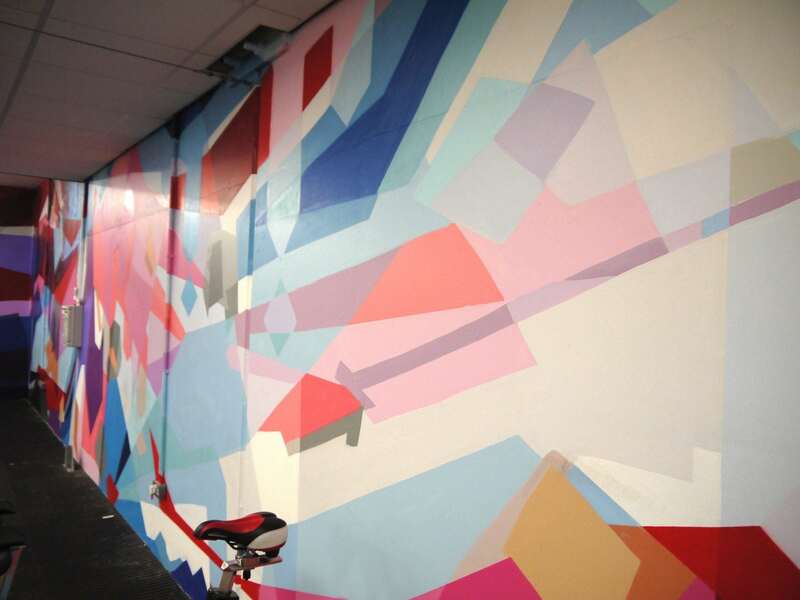 The bright coloured hand-painted mural design combines six sports in an abstract design which captures the energy and movement of the athletes. Reflecting the teams and competitions these highly trained athletes compete in at the uppermost levels, the design also incorporates the Union flag, and the text ‘GB’ and ‘Bath’.